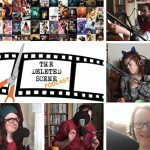 Our Network includes Red Carpet News TV, Premiere Scene, ActingHour, Phex & Regis, Speedy Enix Records, The Deleted Scene Podcast, NetPIX, Indiespring, We Code MCR, Fuzion Studio, Flitter Films, We Make Movies on Weekends, London Rolling Film Festival, Lost in Drama, Xplore The World, CineLanguage, AL. AKP Productions, Pro Actors London, Screen Rebels, Popcorn, The World of Celebrity, Zennor Films, RD Casting, Oh My Hero and Holly Shop. On this page are links to our Network sites with a description about what they do. Please contact us if you would like to be considered to join our network. Red Carpet News TV -Aims to bring you all the latest entertainment news, reviews and exclusive red carpet video coverage. Premiere Scene -Specialists in reporting at Red Carpet events, Film Junkets and one to one celebrity interviews. ActingHour – Networking and promotion. Phex & Regis – Our Video-On-Demand (VOD) Distribution Partner who also specialise in Audio Reproduction and Distribution. Speedy Enix Records – a new, innovative record label catering for raw, unsigned talent and independent musicians of all genres. 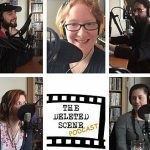 The Deleted Scene Podcast – Podcast every Wednesday talking about films and filmmaking and the world of media and anything that takes our interest. NetPIX – PIX is review at a glance. 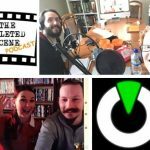 Visit the page to see if we give the film, documentary or TV show a green, amber or red rating. 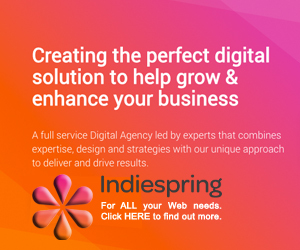 Indiespring – A Digital Agency led by experts, driven by insights and focused on results. Producing high quality, professional solutions at a fair price. We Code MCR – A Digital Agency led by experts, driven by insights and focused on results. Producing high quality, professional solutions at a fair price. Fuzion Studio – Design agency specialising in Web Design, Graphics Design and Video Production. Flitter Films – An independent video production company operating out of Flitwick, Bedfordshire. 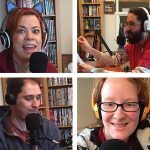 We Make Movies on Weekends – Talking Movies and Making Them Too! London Rolling Film Festival – An event with the purpose of showcasing talented filmmakers and put them in contacts with industry professionals as actors, directors, producers but also make-up artists, fashion designers and journalists. 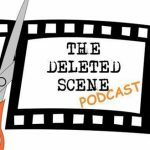 Lost in Drama – Devoted to Period Dramas and Novel Adaptations. Xplore The World – Award winning Documentary Filmmakers. CineLanguage – Filmmaker and lover of Film. AL. AKP Productions – a film collaborative. We strive bring together talent in both cast and crew from all over the Americas, Europe & United Kingdom and Asia & Oceania, into one central hub. Pro Actors London – Based on trust and collaboration between proactive Actors who bring their expertise in different fields to the group, providing moral and technical support, for free. 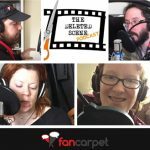 Screen Rebels – Film without the screen. A showcase of short film screenplays by emerging writers and performed by actors. Popcorn – Bringing you: Celebrity Interviews • Red Carpet coverage • Entertainment News & Much More! The World of Celebrity – A site about movies, TV and music (but mostly movies). Check out the latest movie reviews, red carpet pictures and TV and music opinion pieces. Zennor Films – Production Company founded by Actress, Director and Producer Elizabeth Jane Cassidy. With films including Catalyst and In The Process. RD Casting – Talent Casting Agent run by Michael Moor. Oh My Hero – Geek Culture inspired Wedding Cake Toppers! Holly Shop – Hollywood Inspired Products.